In a risk-averse culture the fear regarding bail is that a judge or a justice of the peace will release an accused person who will commit an offence while released. While issues with individuals complying with bail conditions exist, research shows that there are more people in remand (in custody pending a bail hearing or trial) than are serving sentences. Over the last decade, the remand population has consistently exceeded the sentenced population with adults in remand accounting for 57 per cent of those in custody. Racial disparity in the justice system grows at every stage of the criminal process, from arrest to parole. As of 2014-2015, there were 13,650 adults in remand and 10,364 adults in sentenced custody in Canada. Remand is the most common point at which adults entered the correctional system in Ontario (51 per cent of initial entries). Among the other provinces Nova Scotia (68 per cent) and Alberta (67 per cent) had the highest proportion of their custodial populations in remand. The determination of bail is taking longer. Those denied bail are generally accused of non-violent offences. Additionally, when numerous bail conditions are coupled with court days and longer periods of time waiting for the disposition of a case, the opportunity to breach bail conditions are heightened. In 2013, the John Howard Society of Ontario released a report, "Reasonable Bail" noted this cycle of interrelated issues contributing to the overall problems with the pre-trial process. Further studies have shown that accused persons denied bail are less likely to have their charges withdrawn, more likely to plead guilty, and more likely to be convicted and receive a sentence longer than those who were released on bail. Decisions made at the early stages of the criminal process build on the decisions that will be made at subsequent stages. These decisions contribute to the increasing disparities found in the justice system. Racial disparity in the justice system grows at every stage of the criminal process, from arrest to parole. Through each decision point of the justice system the cumulative impact of racial disparity is no more apparent than the fact that African Canadians are one of the fastest growing prison populations. The police are the first and most visible agents of the criminal justice system. 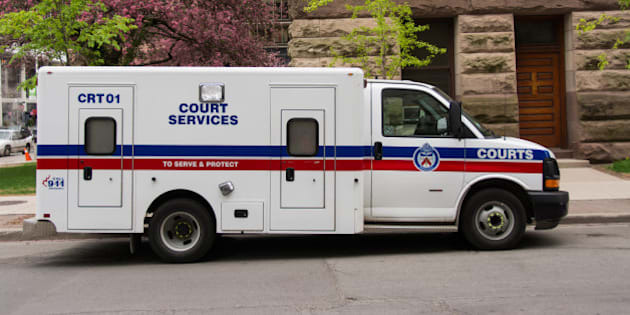 As Legal Aid of Ontario's report on bail notes, racialized people who are subjected to racial profiling and other over-policing practices, "are more likely to find themselves in pre-trial detention" than their counterparts. If more interactions with the police means that police practices can result in racialized people being arrested at greater rates, they will also be over-represented at the bail stage, at the trial stage and at sentencing. Thus, by the time an individual is arrested and the decision is made that he/she is to be brought before a judge or a justice of peace, several decisions have been made that have, in turn, exacerbated the racial composition of the criminal justice system. Overall, the research has shown that those most likely to be refused bail are aboriginal or black, poor, have mental health and/or substance abuse issues. While the research on the relationship between race and other factors, such as age, and socioeconomic status, is limited in Ontario, the "Report of the Commission on Systemic Racism in the Ontario Criminal Justice noted in 1995 that "some black accused who were imprisoned before trial would not have been jailed had they been white, and some white accused were freed before trial would have been detained had they been black." The pre-trial process has functioned as a system of inequality. This picture is further complicated by gender, and whether bail decisions are imposed differently for racialized accused male and females. Of the research conducted, Toronto studies have found that black men are less likely to be granted bail. They are also more likely to receive higher bail amounts and restrictive releases compared to others. Further, studies in the U.S. suggest that, on average, black women are more likely to be denied bail relative to white women. In Canada, African Canadians make up only three per cent of the population, but account for 10 per cent of the prison population. In Ontario, there are, proportionally, four times more black boys in the youth inmate population than what they represent in the general young male population of the province. The numbers also show that about 16 per cent of youth sentenced in Nova Scotia were black Canadians and in the last decade, while women make up a small portion of those incarcerated, research reveals that women's rates of imprisonment have increased faster than men's. The reasons for these disturbing trends are multifaceted. There are also several clear patterns that require the minister of justice and attorney general of Canada to adequately address the differential outcomes in bail court as a matter of priority. Recently, the prime minister mandated the minister of justice and the attorney general of Canada to address bail reform as part of a larger effort to improve the efficiency and effectiveness of the criminal justice system. There has never been a better time for bail reform. The pre-trial process has functioned as a system of inequality. Marginalized accused persons that are released are often burdened with conditions that place them at a further disadvantage. We must remember that the law of bail in Canada is based on the presumption of innocence and that those who are innocent should not be punished. Without a systematic approach to the problem, the recommendations for bail reform will only speak to the symptoms and not the causes of much larger issues in Canada's criminal justice system. Andrea S. Anderson, is a lawyer and doctoral candidate at Osgoode Hall Law School, York University. Her research focuses on race, gender, and the administration of justice.